Love is in the air and Valentine’s Day is just a few days away! We have a box of treats lined up for you this holiday, and you can read on for all the details. Our annual Valentine’s Day shopping event is back! 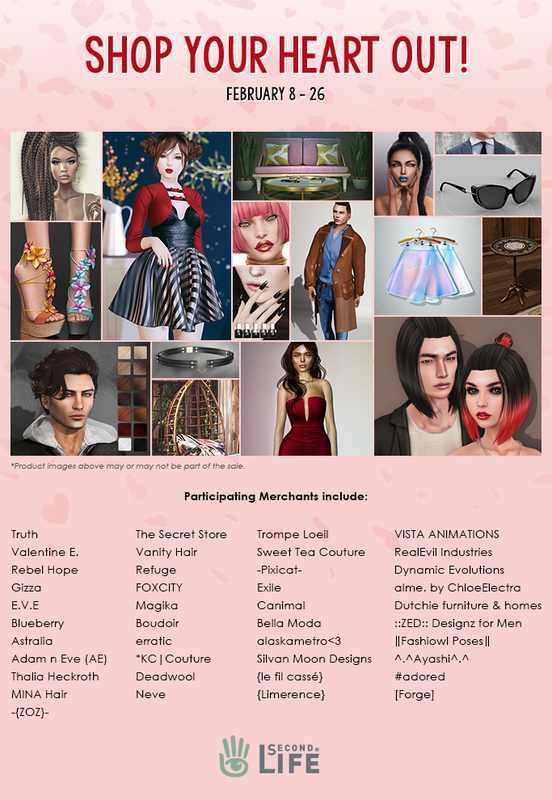 Discounts on clothings, hair, accessories, decor, and more, plus gifts from many of your favourite Merchants and brands are available from now through February 26th. Drop by the Gilded and Golden shopping regions to collect your gifts and get some great deals. Many of our participating Merchants are also putting items in their Marketplace for sale, so be sure to visit them. Marketplace participants and links are available here. 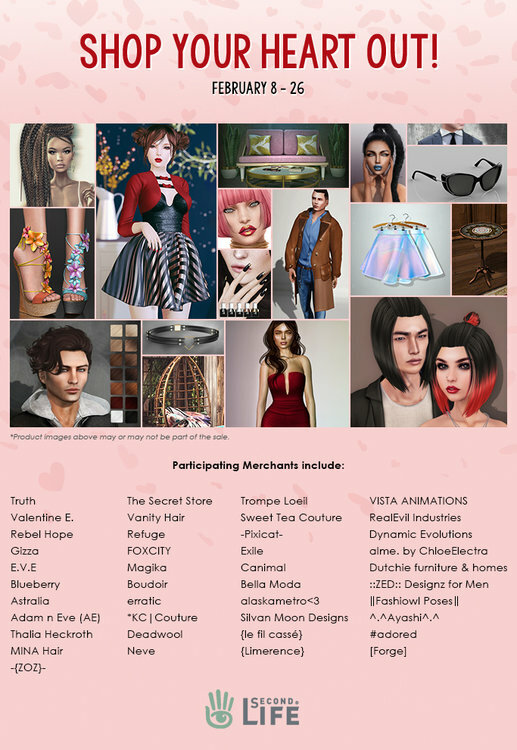 Second Life's annual Valentine's Day shopping event is back! Collect special free gifts from all your favorite merchants as you shop for clothing, accessories, decor and more - up to 50% off! Event open until Feb. 26. Love is a complicated creature — inspiring poetry, prose, songs, and art since the beginning of time. The Isle of View celebrates this complex feeling once again with the hub of all things Cupid and hearts - the Isle of View! At the Isle of View! 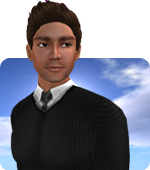 On February 14th from 10am-12pm SLT, join us at the Isle of View for a chance to hug and dunk some Lindens. Bring your friends, bring your family, bring your one and only - when else are you going to get the chance to cozy up to a Linden or splash one into a cold tank of water? An opportunity like this comes around about once a year — so don’t miss out. While you are at the Isle of View - you can hunt for some limited special Glytches. 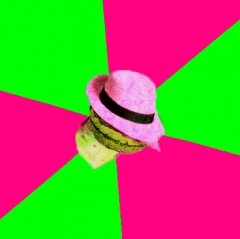 What’s a Glytch, you might ask? Part of a grid-wide experience that launched last September - Glytches are collectible little creatures that you can capture with tools that you can upgrade with gems. Get started (if you don’t already have a weapon and hud) at portal park, then bring your hunting spirit to the Isle of View to capture these adorably cute little rascals. 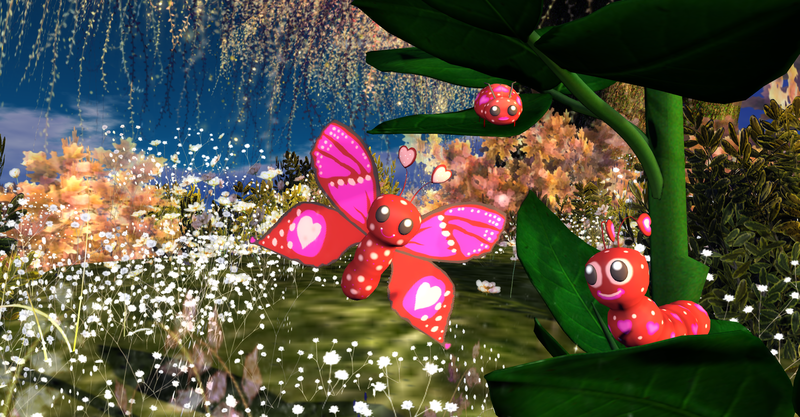 A gorgeous gift of Glytches awaits those with Premium memberships - Just drop by the Premium kiosks to claim to your Love Bugs! 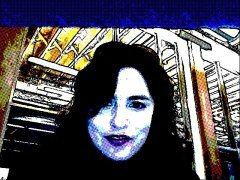 Previous entry Unboxing 2017 and Looking towards 2018 in Second Life!